IT was a job that wasn’t offered to him, and neither did he apply for it. Former PBA coach Alfrancis Chua clarified he’s not in the running for the chairmanship of the Philippine Sports Commission (PSC), saying he already has his hands full running the sports affairs of San Miguel Corp. as the company’s sports director, aside from being board of governor of Barangay Ginebra. “Let me make it clear that no, there wasn’t any offer given to me, and no, I didn’t apply for the position. 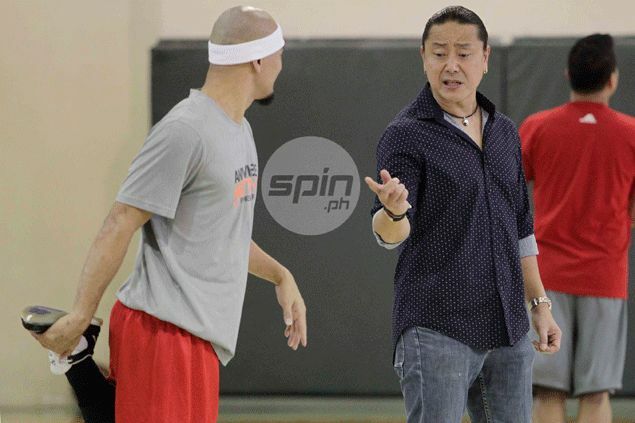 Wala lahat,” said Chua on Saturday while on his way to the coaching clinic of Vance Walberg, the creator of the dribble drive motion offense, who’s currently here in Manila. Chua made the statement in light of a Spin.ph report on Friday that he has the inside track to become the next chairman of the government sports agency after outgoing Richie Garcia. The SMC executive said he was surprised when told about it, adding it’s impossible for him to work in another agency when he’s very much happy with his current job. He also has no idea on why suddenly his name was floated for the position. Chua, who had stints as coach of Tanduay, Sta. Lucia, and Barangay Ginebra, didn’t deny that he recently met with President-elect Duterte shortly after the May 9 elections, but it doesn’t have anything to do with sports. He added he’s not in interested to become PSC chairman and that it rather be offered to those who are qualified for the position. “Maraming qualified diyan. Ibigay nila yun sa mas karapat-dapat,” said Chua, who’s also president of the Basketball Coaches Association of the Philippines (BCAP).